Sundar Pichai, Google's CEO, mentioned in this year's Founders' Letter that "the next big step will be for the very concept of the 'device' to fade away. Over time, the computer itself — whatever its form factor — will be an intelligent assistant helping you through your day. We will move from mobile first to an AI first world." Right now, Google has an assistant, but it's not that conversational. You can find it in the Google Now cards and the voice search feature. It's there for answering quick questions, but it's not that good for having meaningful conversations. This is about to change, now that Google will launch its answer to Amazon's Echo device later this year. It's called Google Home and it's a "voice-activated product that brings the Google assistant to any room in your house. It lets you enjoy entertainment, manage everyday tasks, and get answers from Google — all using conversational speech. With a simple voice command, you can ask Google Home to play a song, set a timer for the oven, check your flight, or turn on your lights". Google Home is always listening for the "OK Google" hotword, much like the Google app from your phone. It's also a WiFi speaker with Google Cast support, so you can tell it to play music on other speakers or group it with other speakers. Google Home can even send video to your TV if you use a Chromecast or you have an Android TV. Google Assistant is not only available in Google Home: it will also be added to the new Allo messaging app and to the Google Search app. "The assistant is conversational — an ongoing two-way dialogue between you and Google that understands your world and helps you get things done. It makes it easy to buy movie tickets while on the go, to find that perfect restaurant for your family to grab a quick bite before the movie starts, and then help you navigate to the theater." 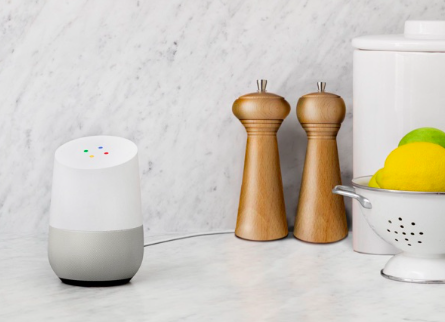 Google starts to build its own ecosystem of devices that work together: smart routers, smart speakers, smart TVs, smartwatches, home automation devices, car dashboard integration. 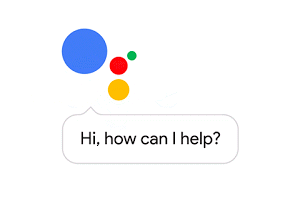 As people use more smart devices, the Google experience is about to change and Google Assistant will become the main "interface" for interacting with Google. Your article is explanatory and informative and There is more successful app like the one you mentioned and it is PicsArt Photo Studio Pro APK Free Download | share apk files android , so don’t waste time and check it now.